The Blastrac BMP-335GHY is the Diesel version of the BMP-335EHY. The BMP-335GHY is the answer to the largest scarifying applications. It's increased weight allows it to generate more efficient scarifying action. With variable speed, forward and reverse, this heavy-weight performer can be driven without the scarifying drum engaged. 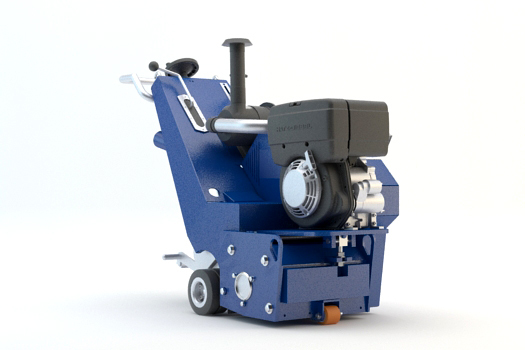 The BMP-335GHY scarifier is almost dust free when connected to the appropriate Blastrac dust collection system. Blastrac has designed a full range of scarifiers and cutters, which give the opportunity to process any floor and specific application.